We should really change the locks by the way. 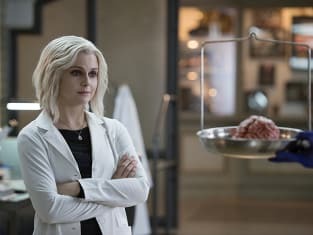 iZombie Season 2 Episode 16: "Pour Some Sugar, Zombie"
If I had known you'd be dropping by I would of worn my less bloody lab coat. Permalink: If I had known you'd be dropping by I would of worn my less bloody lab coat. Permalink: We should really change the locks by the way.